Let's take a look at the performance of ASEAN nations and its top players. IM Mas is the top player for the Malaysian team. He started well by getting a draw against 2700-club player, GM Adams from England. The chess world noticed the feat since the ratings gap is quite big which is more than 300. 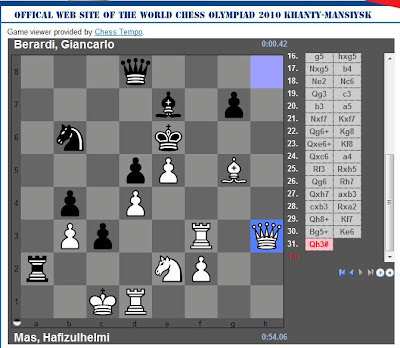 And in the third round, he made an upset again by beating higher-rated GM from Lithuania. The match is also an upset for Malaysia after managed a draw against much higher-rated Lithuania. In the fifth round, Malaysian performance is not that good. Malaysia lost to a lower-seeded opponent Bolivia. Even Mas escaped with a draw against lower-rated opponent and IM Mok succumbed to a defeat. Most probably it was the effect that all the Malaysian players were not rested then. Fatigue had taken its toll to our chess players. In the eighth round, when Malaysia decided to rest Mas Malaysia narrowly won over Sri Lanka by half point. Hopefully, IM Mas can play much better after being rested and the others will excel too. GO MALAYSIA GO! In GiLoCatur's opinion, Vietnam is the strongest team among the ASEAN nations for two reasons. First, its average ratings (2587) and seeding (27th) is the highest. Second, it has two 2600-rated players in GM Liem and GM Son. From GiLoCatur's observation, GM Liem does not perform superbly. He managed just a draw and two defeats against three 2700-rated opponents. Meanwhile, he drew twice to opponents with lower-rated including one 2500-rated player. But his performance ratings is not that bad either. Fatigue seems affecting young players like GM Truong Son. He had performed well up to the fourth round. But in the fifth round, he was defeated by Georgian player with 2598 ELO ratings. Once again he lose to 2500-rated opponent in the 8th round. Both the Vietnam top players are not being rested so far. For sure, Vietnam faced much stronger opponents than its other ASEAN counterparts. It upsets Azerbaijan in the third round, but it just managed draw against lower-seeded opponents in the 7th and 8th rounds. GM Wesley So is the top board player for the Philippines. He is among the only three ASEAN players with 2600-ratings. He was rested in the 7th round. He has not yet lost a single game, but he only won one and drew the other six rounds even to 2400 and 2500 rated opponents. Considering his strength and ELO ratings, he should had won such games. The upset that Philippines encountered is in the third round when just managed to draw with much lower-seeded Scotland. GM Susanto Megaranto of Indonesia is the only 2500-rated player in his team. He plays all the eight round without a loss. Quite an impressive performance. But he has too many draws, 5 to be exact. Besides his 5.5/8 score, IM Halay Taufik (or Taufik Halay, tak sure mana satu) also has impressive performance thus far after scoring 5/7 points. Indonesia has played to its strength thus far. It won over lower-seeded opponents. Just to add that, Indonesia upsets Israel, the 11th seed, by having a draw. In round 7, Indonesia also managed to draw with higher-rated Latvia. Singapore top player, GM Zhang Zhong, also has quite impressive performance. 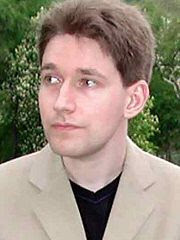 He lose only once to the giant killer, GM Jobava Baadur who had defeated Magnus Carlsen, and has many draws. Managed to draw with higher-rated teams, Moldova and Egypt, are among the best results for Singapore. 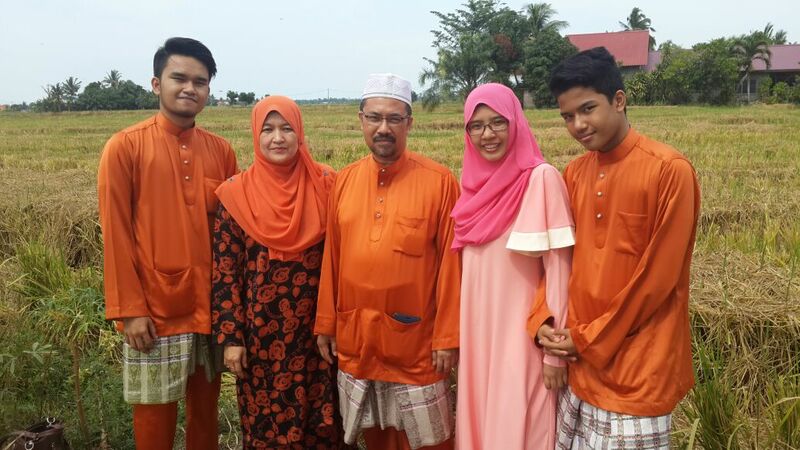 The Malaysian men team captain can be counted on then when he won his debut game in the chess olympiad. With the win, Malaysia won over Sri Lanka, 2.5-1.5. It was a scary moment watching Greg's game live. Early prediction to thrash the lower-seeded team did not materialize. But never mind, a win is important here. GiLoCatur hopes that the Malaysian juniors are also watching the games live. Experience and learn the tension and pressure environment. Be motivated to improve in chess and represent Malaysian in the future in chess olympiad. The above info is incorrect for the first board result. It should be 0-1. LOL! 9.28pm, Finally Malaysia women team won over UAE by 2.5 - 1.5 score. Both Alia and Nabila contribute the two points and Roslina gave the crucial half point. Congratulation! Now, all the women players go get good rest and relaxation. Round 8 is over. Raise up the spirit and motivation. Be ready for the next round. 8.56pm, it is confirmed then that Alia had won. Well done. Malaysia 2, UAE 1. 8.53pm, GiLoCatur is smiling coz confident that Alia will win her match. If so, Malaysia just needs Roslina to score half-point enough to ensure the win. 8.40pm, not an easy match eh! Malaysia lost a point. Now, Malaysia 1.5, Sri Lanka 1.5. That makes the fourth board game that yet to finish becomes so critical. The result of Greg's game is very critical here for Malaysia to win the match. The captain's game is the decider. 8.30pm, TKB seems in time trouble. That's what GiLoCatur could observe from the live games showed. Could he survive? Hopefully, Malaysia does not lose again to Sri Lanka. Malaysia adds one point in the open/men section making it 1.5 - 0.5 /2 thus far. Just need another one full point to ensure a win and critical 2 match points. Mok's opponent resigned. Im Mok plays the top board in absence of IM Mas who is rested in this round. By 8 o'clock, Malaysia and UAE split one point each. UAE won the fourth board through Amna Nuaman Al Ali who played against Mi Yen. Let's wait for the other two boards - the first and the third. Peter Long, the Malaysian men's third board, drew with his Round 8 opponent from lower-seeded Sri Lanka. Half-point split so far. IM Mas does not play in this round. Surely, he needs good rest for better performance in next rounds. Today, Greg Lau who is the Malaysian men fifth board player and the team captain plays his first game in this olympiad. 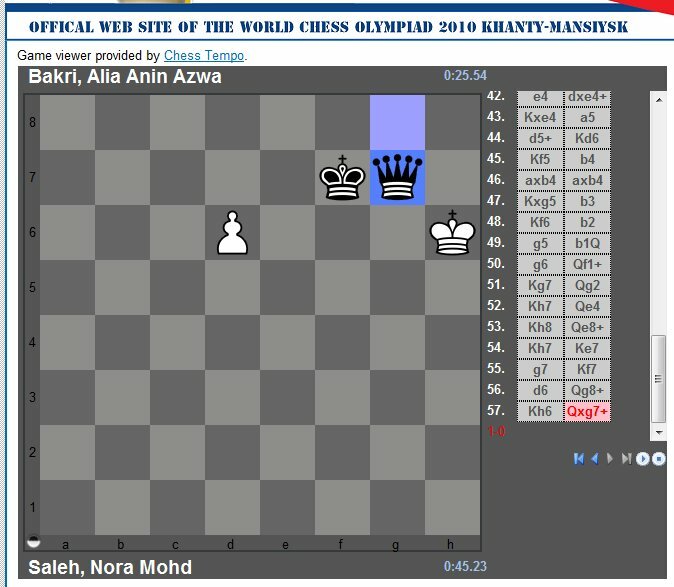 By 7.50pm, Nabila won her game after her opponent from UAE resigned on 31st move. 1 down, 3 to go. The Malaysian women team succumbed to a defeat by 1-3 score to Ecuador that has higher average ELO ratings. Based on GiLoCatur's observation and results analysis, Indonesian and Philippines players perform better compared to the Malaysian women players. They are able to win over higher-rated or about-equal-rated opponents. Most of the times they won games against lower-rated ratings. Among our players, Alia performs well after scoring 4/6 points. Having 1904 Elo ratings, her performance ratings so far is 2140. She has about plus 24 ratings-difference. Meanwhile the other four players have minus ratings-difference. GiLoCatur hopes all of them will improve and have better performance. Never ever ever give up. Take the opportunity to raise their games. Learn how to handle the big pressure. Believe in themselves and be confident. In the sixth round, Alia managed to beat a 2300+ International Master or IM. Bravo! Tahniah! This kind of performance our Malaysian players should attempt. Let's check out the Indonesian players. No doubt WGM Irine, the top board player, is in her own class. She has collected 5/6 points. She lose to Indian IM, Harika Dronavalli but she won over France GM, Marie Sebag, with 2499 FIDE ratings. Chelsie Monica and Medina Warda Aulia are the other Indonesian players that perform well. 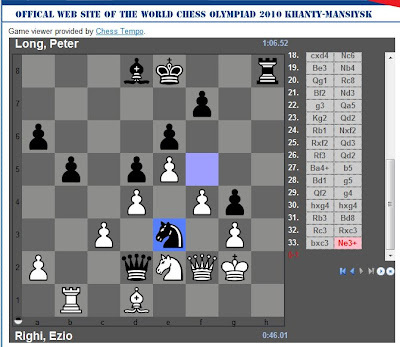 As a strategy, both of them who are Fide Masters (FMs) are the top two bottom board players. Both of them have plus ratings-difference and better ratings performance. Chelsie lose only once from 5 games while Medina also lose once but drew twice. Both have 4 points. Both managed to outwit much higher-rated French opponents. As for the Philippines team, its top (WFM Chardine Cheradee) and fourth board (Rulp Ylem) are the well performers. The former has 5/6 points while the latter has 4/6 points. Other players score important points when it matters the most. GiLoCatur wishes that Malaysia will meet Philippines in one of the next rounds. Why? Because GiLoCatur would like to see the match up between the top boards of the two countries - Alia versus Chardine. Interestingly, exactly eight years ago they faced each other in Asean U8 tournament in Singapore. Below is their game. Tomorrow, in the 7th round Malaysia will face Pakistan which is seeded lower, about 30 ranks below. GiLoCatur hopes the Malaysian team will take the opportunity to win over the opponent to climb up the ladder. YAKIN BOLEH! 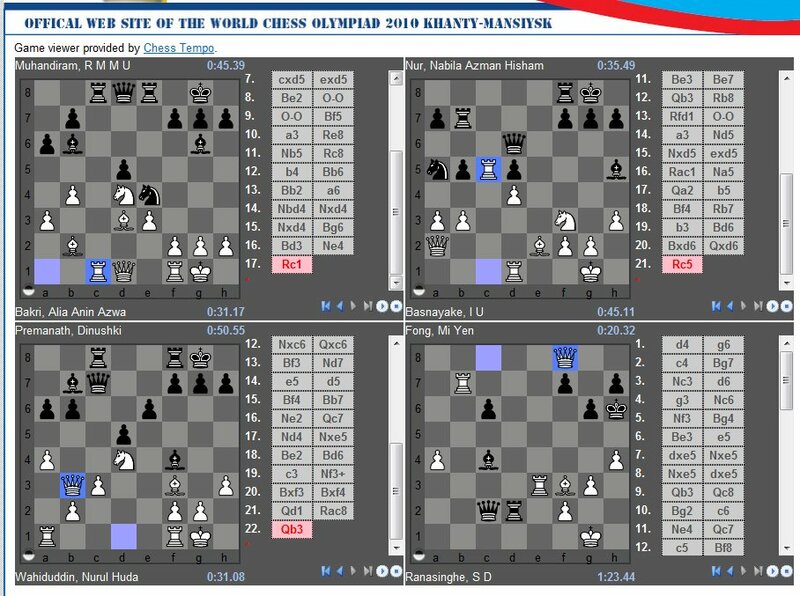 Based on the games/results from the official website of the World Chess Olympiad, Malaysia has won convincingly 4-0 over San Marino, the 118th seed, in the sixth round. The win is very critical to climb back the ladder. So, how's the individual performance for the Malaysian men players thus after Round 6? On the top board, IM Mas has not lose so far. He scores 4.5/6 after 3 wins and 3 draws. On the second board, IM Mok has accumulated 2.5/6 points after 2+1=3- (what formula is this eh?, actually + means win, = means draw and - means defeat). 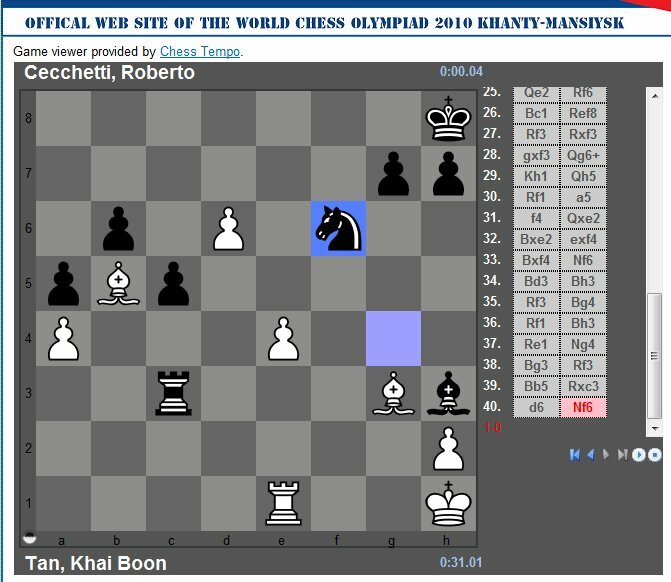 While NM Khai Boon or simply TKB, on the third board, gets 2/6 points. He won a game, drew two games and lose three games (isn't it 123?). Meanwhile, on the last board, FM Peter managed to score 3.5/6 points. 123 also but 1 lose, 2 wins and 3 draws. After six rounds, Malaysia scores 5 match points from 2 wins, 1 draw and 2 defeats. Mas checkmated his opponent after 31st move. Mok's opponent resigned when queening is unstoppable. TKB won when his opponent lost due time trouble. FM Peter had his opponent resigned after 33 moves. 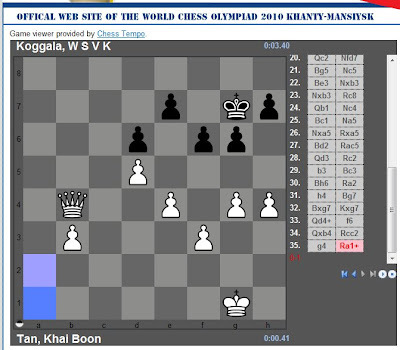 Today (Sunday) is a rest day for the World Chess Olympiad. The sixth round will continue on Monday. Our men players will play over San Marino while the ladies will play against Ecuador. As for GiLoCatur and family, the DAT CC Super Supreme Rapid Weekender could not be joined. The reason is that GiLoCatur and wife had to attended a program during the weekend. Who are the winners in the tournament? Click here to find out. Not only in KL there is a chess tournament, but also in JB. The tournament was held in UTM. For the results and photos, check out Naserov's blog. In the fifth round, the Malaysian men team had similar fate as the women's in the fourth round. Malaysia lose to lower-seeded Bolivia. The score was 1.5-2.5 where all players except the second board drew and got half point. What done is done. Just focus to the next round game. Forget the past. Malaysia will play over San Marino which has lower ELO ratings. GiLoCatur hopes Malaysia can win convincingly to earn 2 important match points. Among other ASEAN countries, Thailand had an excellent result.It scored 3.5-0.5 points against higher-rated South Africa, the 2010 world cup host. The Malaysian women team bounced back today from the defeat to Sri Lanka who is lower-ranked with the score of 1-3. Only Alia scored one point. Who was beaten? The answer is Iraq. Malaysia defeated Iraq with 3-1 score where both Alia and Mi Yen contributed the full one point each. While Nabila and Nurul Huda drew against their respective opponents. Well done for the fifth round. How about the sixth round? Who Malaysia will meet? Malaysia will play Ecuador, the 38th seed next. GiLoCatur believes our Malaysian women players are capable to win the match. SHOW US THAT YOU CAN, gals. 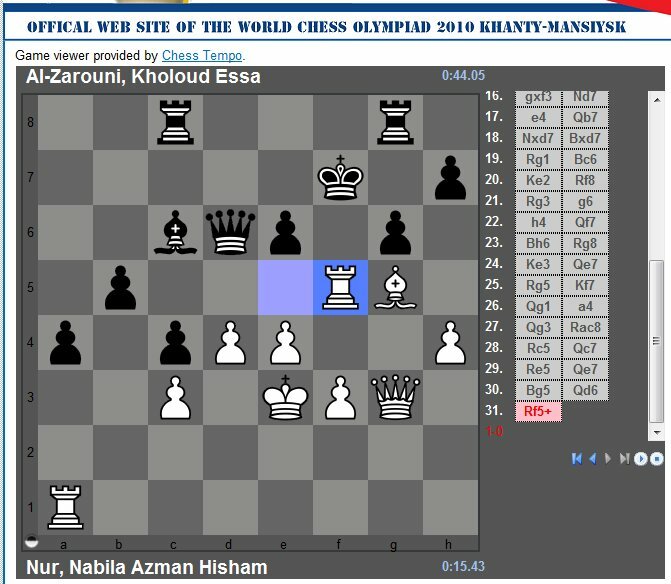 Up to the fifth round, who are leading the Women Chess Olympiad? Ukrain, the third seed, is leading the pack with full 10 points after 5 wins. The top seed, Russia 1 is second even though has the same 10 point after winning all their rounds. So, in the sixth round, both teams will play each other. Whoever wins will have better chance to be the champion provided that the solid performance continues. For the other ASEAN countries, only Philippines and Singapore obtained good results as both managed to secure a draw against their much higher-rated opponents. How is the ranking for all the ASEAN countries? Indonesia and Philippines are at better ranks than their seeds. Vietnam is placed much lower than its seed. While the rest are ranked at about their seeds. 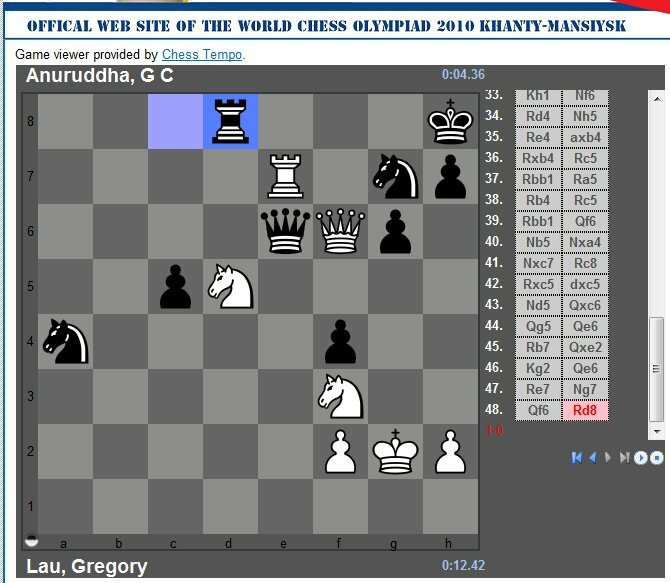 GiLoCatur believes most Malaysian chess lovers and fanatics are following the fourth round of the World Chess Olympiad in Khanty-Manisysk. Our men's team are playing against Switzerland while the ladies are challenging Sri Lanka. For those who have yet, can join us by clicking at the following links. The Men's team games, click here. The Women's team games, click here. 8.09 pm - Tan Khai Boon resigned after his opponent, Oliver Kurmann, made 33. .. Qg1+, Malaysia 0, Switzerland 1. Go to ChessIsChess or HairulovChessManiacs chess blogs to follow the live commentary of the men match ups. Malaysia has lost one point in the Women's section when Mi Yen was defeated by Ranasinghe. GiLoCatur becomes more nervous now. 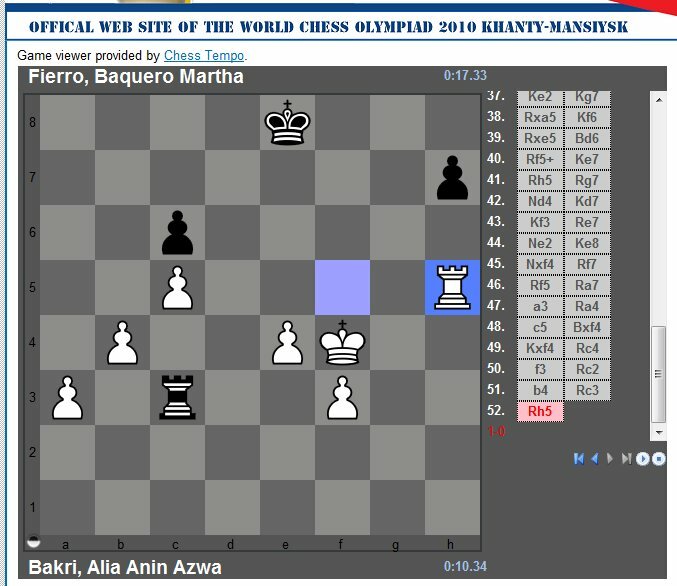 Come on Malaysian "chess wirawati"! Syabas & Tahniah to the Malaysian Men's team for drawing 2-2 with much higher-rated Lithuania that comprises 3 GMs and 1 IM. 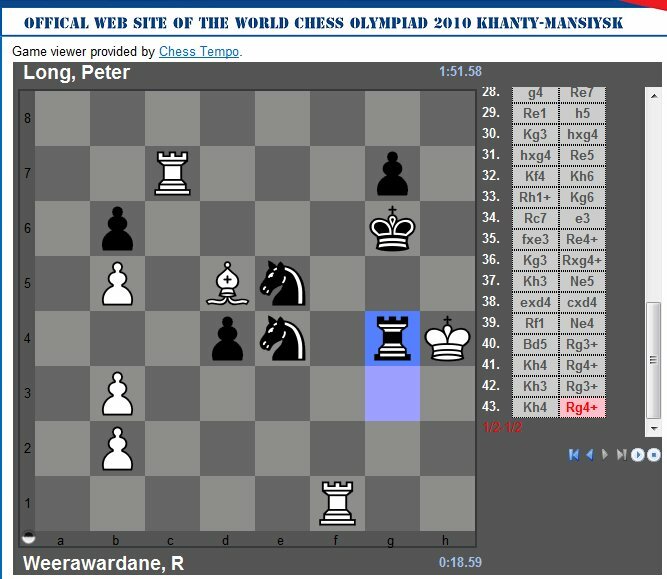 This kind of result that we the Malaysian chess community would like to have. 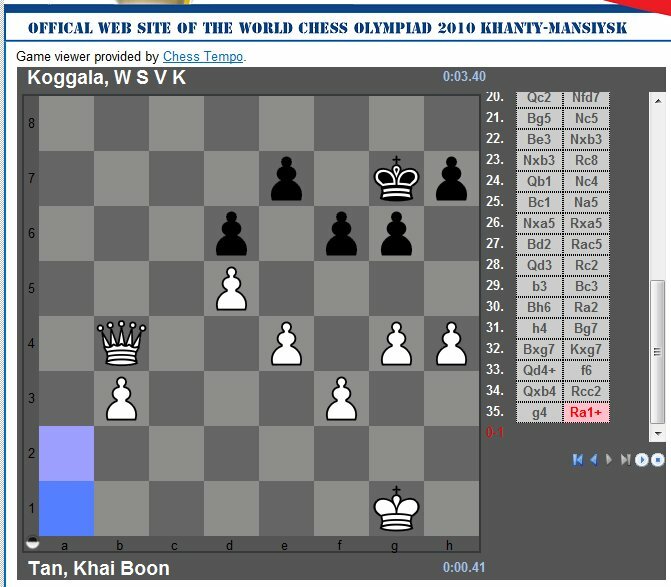 Such feat, as well as Singapore's victory over Russia 4 (2.5-1.5), has been listed as one of the big upsets in the third round as per published in the popular SusanPolgar chess blog as per here. Could it be the feat of Indonesia's draw with the Israelis and Vietnam's victory over the European champions from Azerbaijan in the previous second round had motivated Malaysia and Singapore to perform well? Well done, guys! IM Mas performs well thus far. Scoring 2 wins and a draw against a super GM can be an excellent start for a GM norm for IM Mas. It would be sweeter if IM Mok could win also. In the next round, Malaysia will face the 47th seed of Switzerland. In the Women's Olympiad, our girls managed to get 1 point from Austria that is ranked 32nd in the tournament. An IM opponent with 2400-rating seems too strong for Alia even to get a draw. Kudos to both Nabila and Mi Yen for getting a draw over their respective higher-rated opponents. Not bad at all. Who will be their opponents in the next round? Our girls will play against the lower-rated Sri Lankan team that is beaten by Indonesia in the third round. Do not feel over confident. The Malaysian team has better chance of winning. So, grab it. "MALAYSIA BOLEH!" 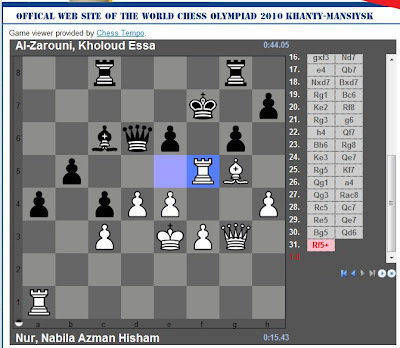 In the second round for the Women Chess Olympiad team, Malaysia won convincingly 4-0 against lower-rated Ethiopia. 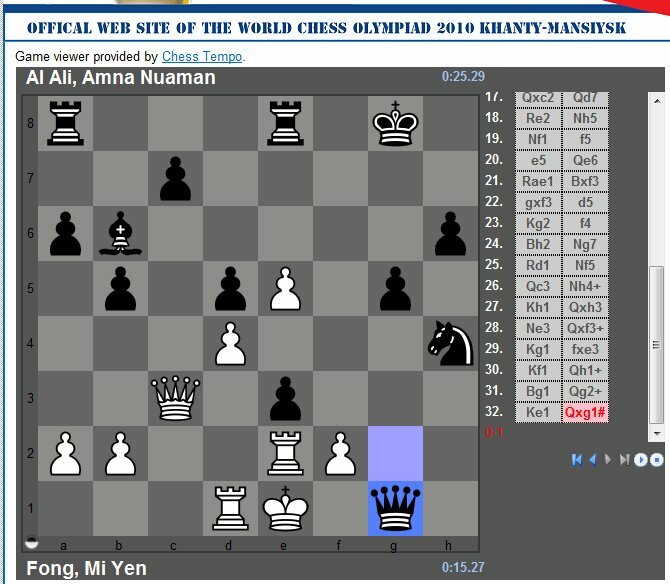 Nurul Huda was rested, while Mi Yen played on the fourth board. SYABAS to the team for the win and shall keep on winning especially over lower-seeded teams. Singapore joined the winning fray when they also beat convincingly against its opponents. India is too strong for the Indonesian girls. 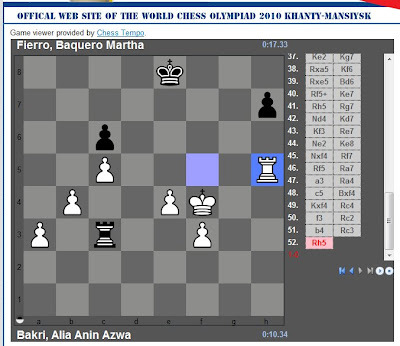 Only Warda Aulia Medina managed to draw with her 300-ratings higher opponent. Vietnam and Philippines joined Indonesia for losing 0.5-3.5 against their respective opponents - Cuba and Romania. Thailand, the lowest-seeded among the ASEAN countries, was beaten 1-3 by the Bolivian ladies. Who will Malaysia meet in the third round for both Men and Women teams? The Malaysian ladies will play against Austria who was defeated by Azerbaijan in Round 2. While the Malaysian boys will have a tough challenge to beat Lithuania, the 39th seed. With "Malaysia Boleh" spirit, hopefully both the Malaysian teams can win or at least draw. "Kepada semua rakyat Malaysia, terutamanya komuniti catur, mari berikan kata-kata semangat, peransang dan sokongan kepada pasukan kita yang berjuang di bumi Khanty-Mansiysk." As GiLoCatur expected, the Malaysian Men team won against the lower-rated Hongkong with 3.5 - 0.5 score. 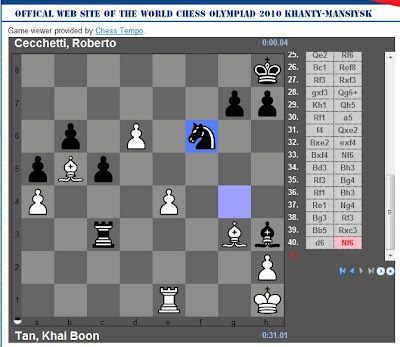 The Malaysian third board, NM Tan Khai Boon drew his game. While the others won theirs. One of the upset in the second round is that Indonesia managed to draw with Israel. IM Tirta Chandra Purnama is the happiest man after he defeated GM Ilia Smirin on the second board. While GM Susanto and IM Irwanto contributes the important halfpoint each so that the Indonesian team is level with Israel with 2-2 score. Malaysia should emulate this kind of performance in next rounds when playing against higher-rated opponents. Vietnam is even better when its players managed to secure a win against Azerbaijan, the seventh seed. GM Quang Liem, GM Truong Son and GM Thien Hui managed to steal halfpoint each against their respective stronger opponents based on ELO ratings. GM Anh Dung is the hero for securing the critical one point. Philippines led by GM Wesley So is short halfpoint to join Indonesia to upset stronger opponent. GM Gomez is surely frustrated for not scoring at least halfpoint to make their match up a draw. Thailand has showed that they are not just a punch bag for stronger teams when managed to draw with Tajikistan that is 30 ranks higher in the seeding list. Its third and fourth board provided the golden two points. Meanwhile, Singapore found that its opponent, Georgia, is too strong to beat. This kind of results and performance that our country, MALAYSIA, as well as other ASEAN neighbours should emulate. GO MALAYSIA GO. For the women team, Nurul Huda is rested for NWM Fong Mi Yen to play her Olympiad debut game. On paper and based on ELO ratings, both Malaysian teams will win respective match ups. Hopefully, Malaysian can win convincingly with 4-0 score. Vietnam, Indonesia and Philippines won convincingly four to nil against their weaker opponents. While Malaysia, Singapore and Thailand lost all games to their higher-rated opponents. IM Mas had joined the list of well-done results after he drew with his superior opponent, GM Adams of England. IM Mok did not play against GM Nigel Short when the later was rested. How about our men's team? Who is their first round opponent? The answer is the 12th seed, England. The England team includes GM Michael Adams, a 2700-rated player, the well-known GM Nigel Short, GM McShane, GM Howell and GM Jones. There is a change in the seeding number for the Malaysian men's team. Malaysia is seeded 85th instead of 84th as per in previous entry. For GiLoCatur, a draw is already an achievement for each of our Malaysian player especially to both of our IMs. Playing against GM Adams (provided that he is not rested) who is the 18th rank in the latest FIDE Top 100 players will be a historical encounter for IM Mas for sure. GiLoCatur hopes IM Mas will play his best in the encounter. Hopefully, their encounter will be photographed and shared with the Malaysian chess community. The same goes to IM Mok who will face GM Nigel Short (also if not rested), considered one of the best Britain's chess players. Among his achievements are winning the British Chess Championship and Commonwealth Championship three times each. Surely, IM Mok will cherish his first round match in the 2010 World Chess Olympiad. Especially if he manages a draw or even a win. We must believe in unthinkable. Whatever it is, just do not afraid to fight and challenge the best if we want to be among the best. 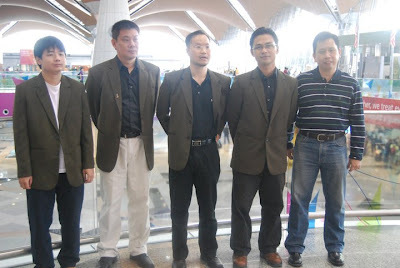 There may be a change order in the Malaysian Men Olympiad chess team. 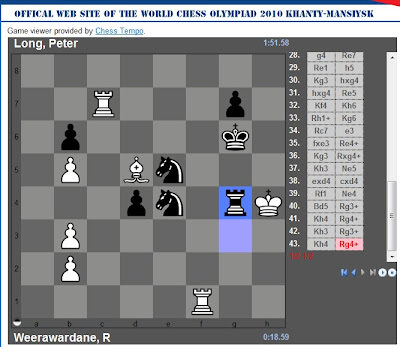 NWM Tan Khai Boon is playing the third board while FM Peter Long is playing the fourth board. GOOD LUCK GUYS! WE IN MALAYSIA WILL 100% SUPPORT AND BE BEHIND ALL OF YOU! How about other Malaysian's ASEAN friends? The 2010 World Chess Olympiad in Khanty-Mansiysk will start today at 3.00pm (Ugra's time). The opponent for the Malaysian Women team in the first round is the 15th seed, Slovakia. Surely, it will be a daunting task for our girls to match up the Slovakian team that has ratings average of 2349. Hey, it is very important to have "Lawan Tetap Lawan" spirit. GiLoCatur hopes that our women team to put up the best fight and performance against the Slovakian opponent whose team members as per below. 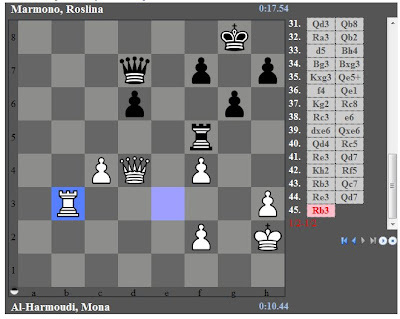 Below is one of the games of WGM Regina in this year 11th European Women Individual Championship. She played white against Roberta Brunello. There are seedings changes/updates that involve Malaysia, Singapore and Thailand are Malaysia is seeded 72nd, Singapore 62nd and Thailand is seeded 100th. 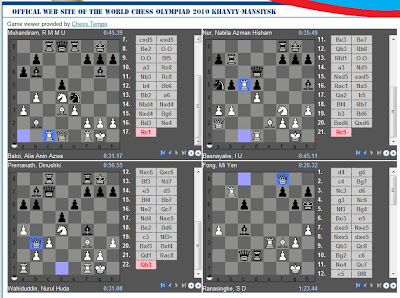 Two more days the World Chess Olympiad will kick off in Khanty-Mansiysk. The Malaysian teams - both men and women had departed from KLIA yesterday. Based on NWM in her chess blog, the Malaysian contingent will transit in Dubai before waiting the charted flight in Moscow for about two days. Surely it will be a long flight for the contingent before landing in Moscow. GiLoCatur had about 20-hour journey few years back from KLIA to Moscow, 13 hour-flight with KLM from KLIA to Amsterdam, 4 hours transit in the Schipol Airport then 3-hour flight from Amsterdam to Moscow. What is the time in Moscow? It is four hours behind us in Malaysia. If in Malaysia now is 7.00 pm, it is 3.00pm in Moscow. How about Khanty-Mansiysk where the 39th World Chess Olympiad will take place? GiLoCatur is not so sure but it is GMT +5 compared to the Malaysian GMT +8. Not so sure of the daylight saving time. But GiLoCatur guess is three hours behind. "SELAMAT BERJUANG PASUKAN CATUR OLIMPIAD MALAYSIA!" "HARUMKAN JALUR GEMILANG DI BUMI SIBERIA!" We have seen the Men's Chess Olympiad teams for Malaysia and its ASEAN neighbours. Now let's take a look at the Women's Olympiad. Malaysia did not participate in the last Olympiad in Dresden, Germany. 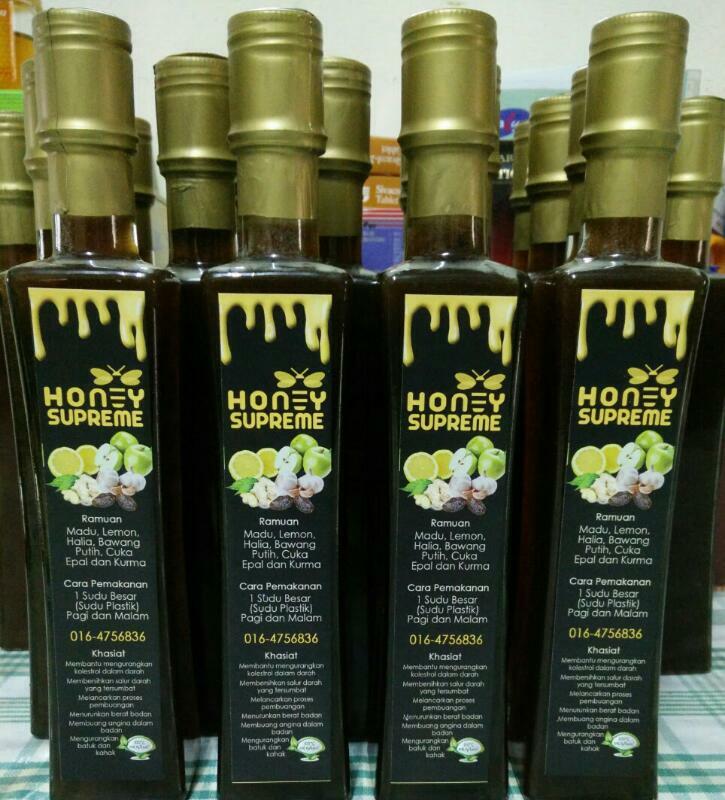 In this year edition, Singapore and Thailand will join Malaysia as well as the other three countries namely Vietnam, Indonesia and Philippines. Singapore is making a comeback after missing the last three editions. 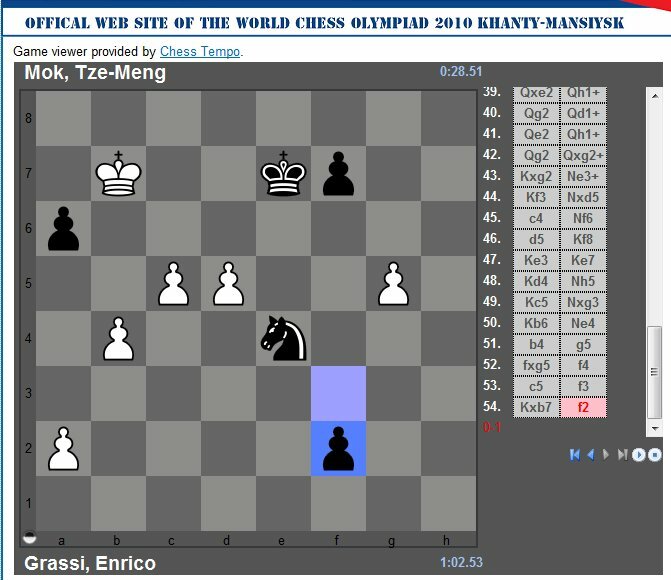 Meanwhile, Thailand will make its debut in the Chess Olympiad since it had not participated in any olympiad before at least since 2000. Malaysia will be represented by the players as per the above table. 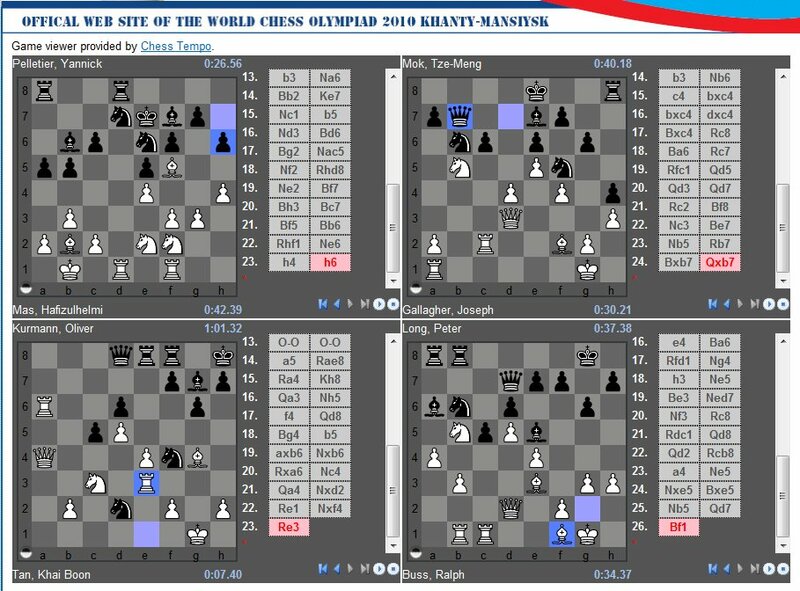 As far as GiLoCatur knows, the first three board players will be playing their first Chess Olympiad. Only Nurul Huda and Roslina have appeared in the event before. The former had participated in 1992 and 1996 editions. 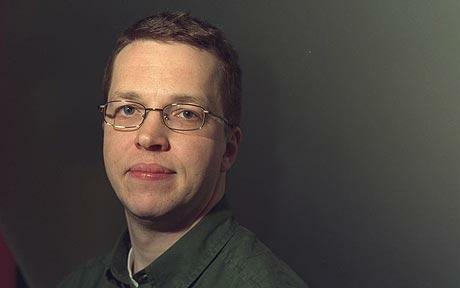 While the later had played in three previous editions - 1996, 2004 and 2006. Hopefully, both of them will guide and lead their other younger team members to earn good and decent placings or standings. For the record, Malaysia was placed 60th / 86 in 2000 (Instanbul), 62nd /90 in 2002 (Bled), 40th /87 in 2004 (Calvia) and 44th / 103 in 2006 (Turin). Among the former players in the past decade are Siti Zulaikha Foudzi, Wan Khye Teng, Nur Shazwani Zullkafli, Eliza Hanim, Jean Nie Lim (sorry if not correct) and Lim Han Ying. WGM Irine Kharisma Sukandar will lead the Indonesian team. No doubt she is the best chess player from our region with ELO ratings of 2372. Her team is seeded 48th with ratings average of 2144. Indonesia is represented by young ladies. Surely, WGM Irine will guide and lead her young and inexperienced team mates including Warda Aulia Medina that GiLoCatur is very familiar with. In her maiden appearance for Indonesia in the Women's Chess Olympiad in 2004, WGM Irine had scored an impressive 10/12 points after 8 wins (including the only win against Malaysia in the ninth round) and 4 draws. She won the silver medal for the third board. Philippines is seeded 2 ranks lower than Indonesia. The team is led by WFM Camacho with ELO ratings of 2186. The country's best result in the past decade is during the 2006 edition at 26th placing. In other editions, it placed in the 40s placings. 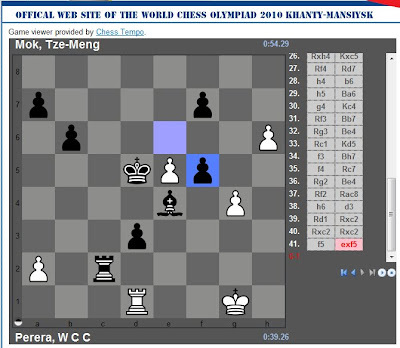 The last time Singapore played in the Women Chess Olympiad was in Bled 2002. It was placed 48th among the 90 participating teams. Such result was much better than in Istanbul 2000 where Singapore was 79th out if the total 86 teams. GiLoCatur hopes Malaysia will get better placing or standing than Singapore in Khanty-Mansiysk. Come on Malaysian chess lady players! Don't get afraid and intimidated with the reputation of the players from other countries. Believe in yourself. Get focus and rest well. It is very important. Give your best. Be motivated. Don't put pressure on yourself. Enjoy the games. The results will come.